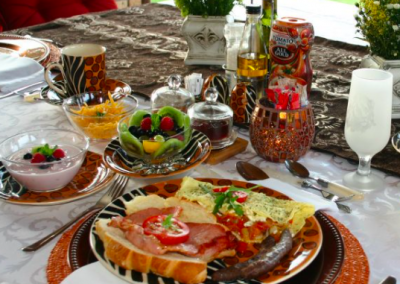 Breakfast is usually served on the patio. 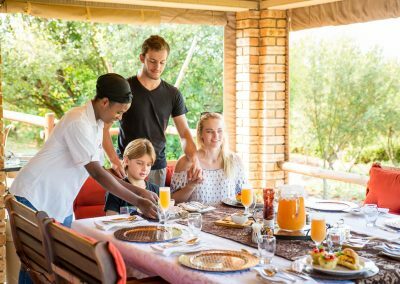 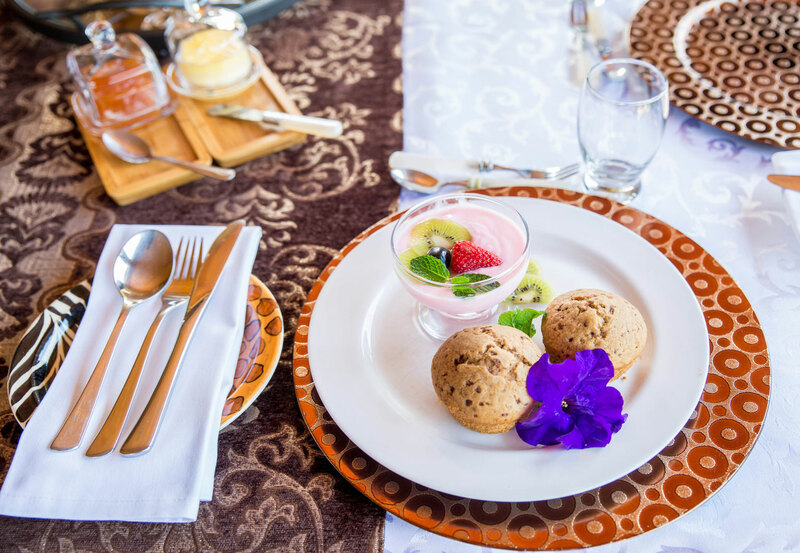 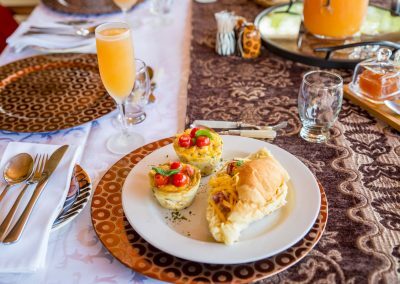 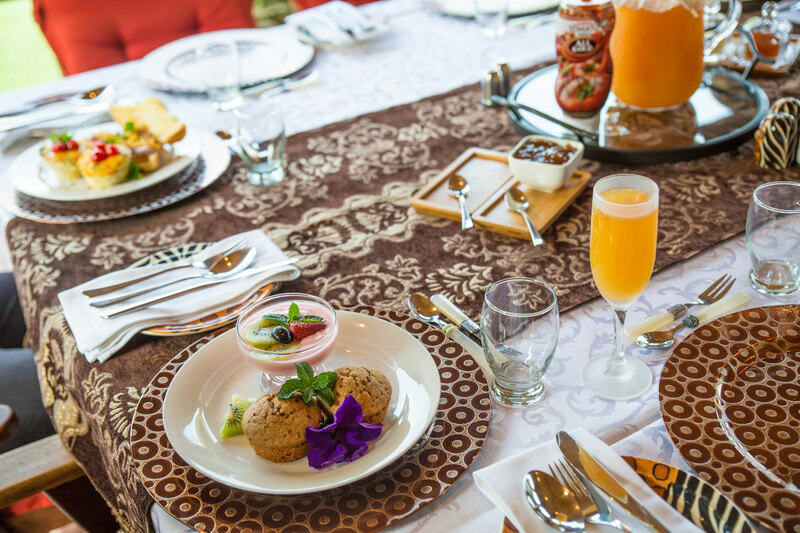 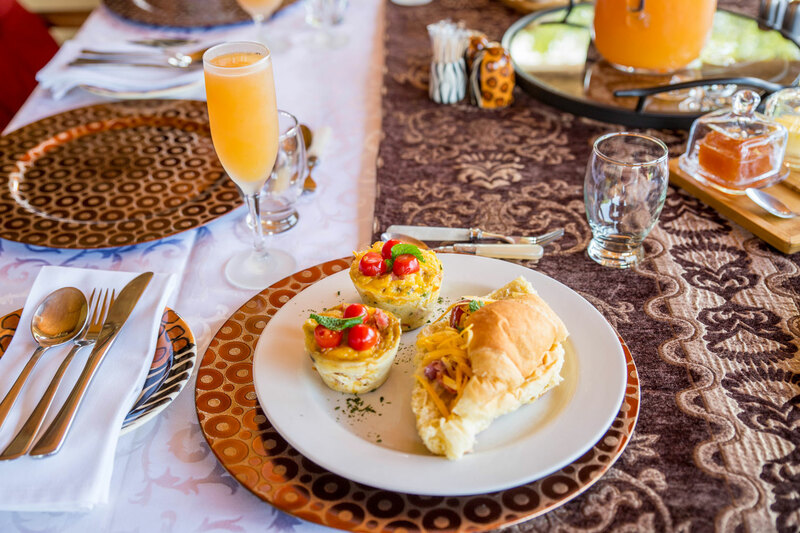 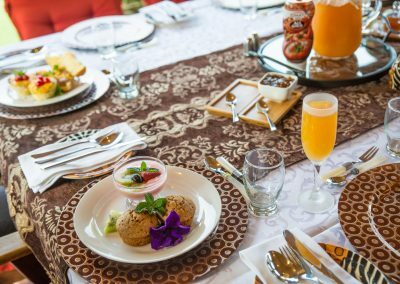 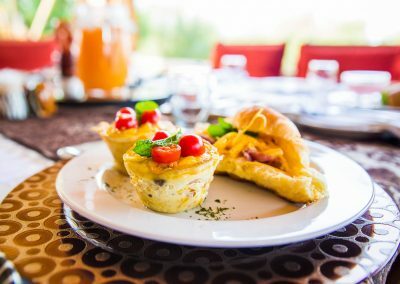 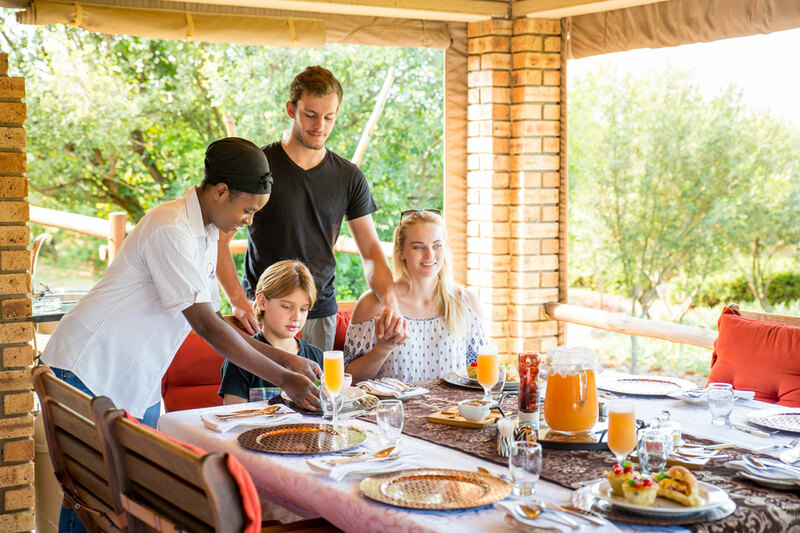 Besides fresh fruits, “boeretroos” (traditional South African coffee), tea and fresh orange juice, you can choose from a variety of egg dishes, served with all the usual trimmings. 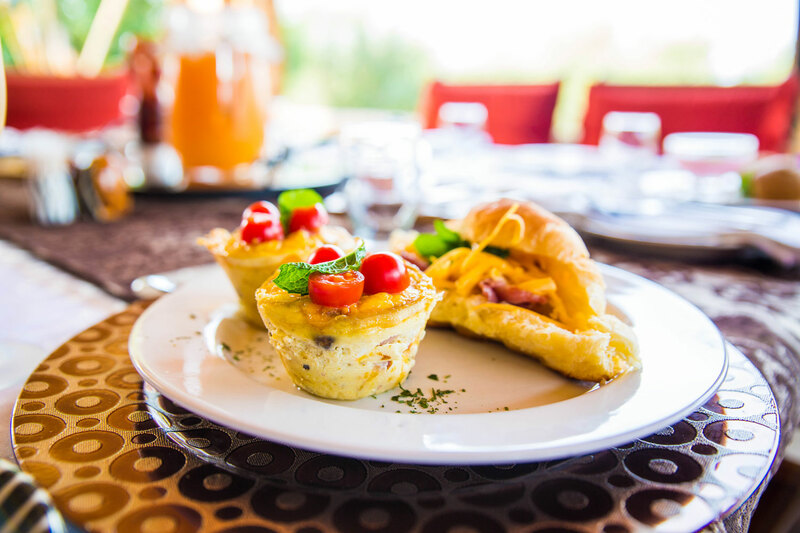 Our bread is baked fresh daily on the premises. 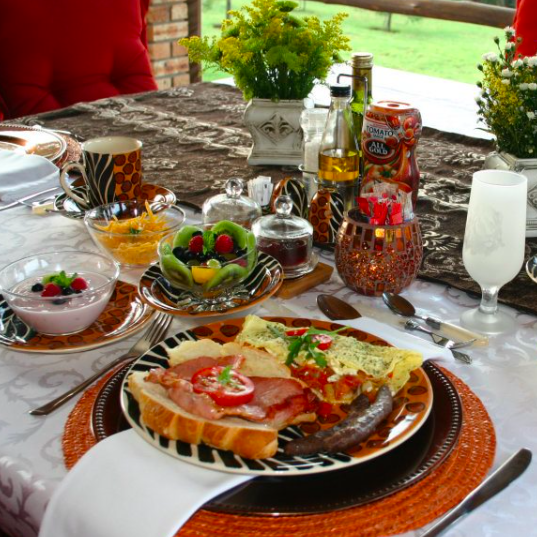 Homemade jams, cold meats, cheeses and yoghurt are also available.